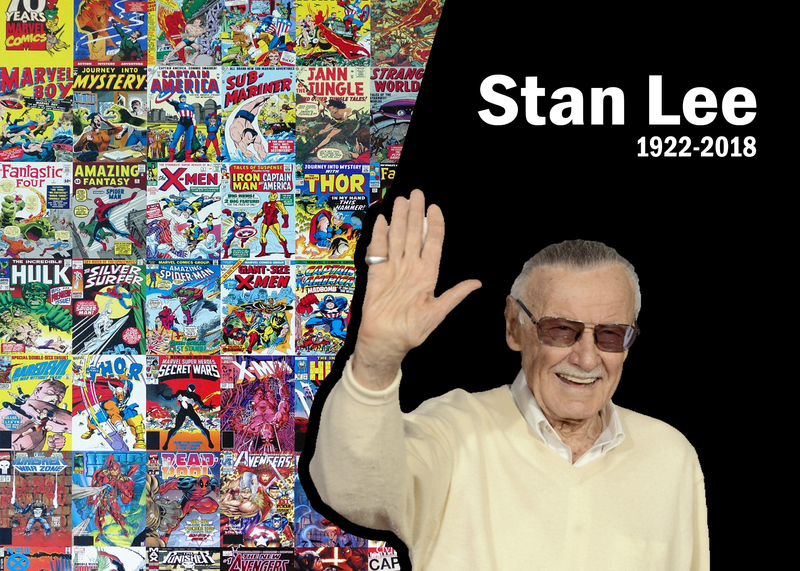 The writer, editor, and publisher who is responsible for lovable characters such as, Spider-Man, X-Men, Thor, Iron Man, Black Panther, and The Fantastic Four, Stan Lee, was reportedly rushed to Cedars-Sinai Medical Center where he later passed away at the age of 95. No cause of death has been officially released. All we know is he suffered several illnesses over the last year and had pneumonia and vision issues. Lee’s final years were tumultuous. After his wife, Joan, of 69 years passed away last year, he sued the executives at the old film and entertainment company he founded, POW! Entertainment, for $1 billion for fraud, then abruptly dropped the suit weeks later. Additionally, he sued his ex-business manager and filed a restraining order against a man who was handling his affairs. This past Summer, he was being investigated for sexual misconduct and reports of elder abuse against him. Lee began working in 1939 at age 18 at Timely Comics (Marvel Comics former name) where he and artist Jack Kirby co-created the Fantastic Four which became a hit, of course, the rest is history. Stan Lee’s was estimated to be worth as much as $70 million. His massively popular and influential work at Marvel transcended the real world crossing over to the virtual reality world becoming a huge part of this industry. From his participation in VR experiences to his Marvel creations becoming part of strategic partnerships with other companies such as Oculus. 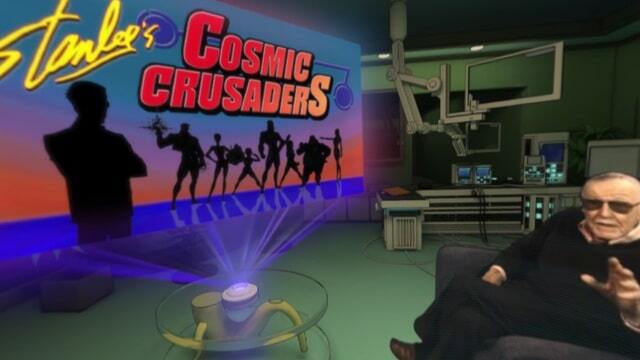 Cosmic crusaders was and experienced released by Hindsight VR starring none other than Stan Lee himself at the 2016 San Diego Comic-Con. Cosmic Crusaders follows Lee, who has come down with a case of “writer’s block,” and then meets seven aliens with superpowers who crash-landed. The only catch is, they can only use those powers in their homeland. “Lee offers sanctuary to the aliens and puts them through superhero training, helping them learn how to access their powers on Earth,” according to official descriptions. 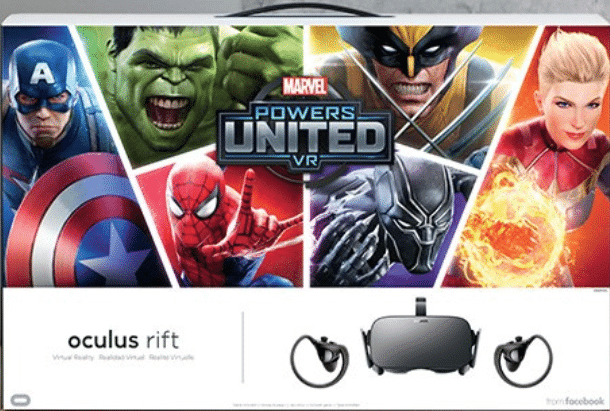 Earlier this year Oculus announced a new Rift bundle that combined the VR headset with two Touch controllers and its upcoming superhero adventure, Marvel Powers United VR. The bundle launched shortly after the game’s July 26 release date, hitting retailers a few days later. Marvel Powers United VR is a first-person title that lets you team up with friends as any one of a slew of heroes from the Marvel universe. The main goal is to take down the baddies as you defend objectives around the map, employing the overwhelming rage of the Hulk, the heroics of Captain America, or the godly powers of Thor.